2 PREVIOUS KEEPERS, CONVERTIBLE, 1.6. 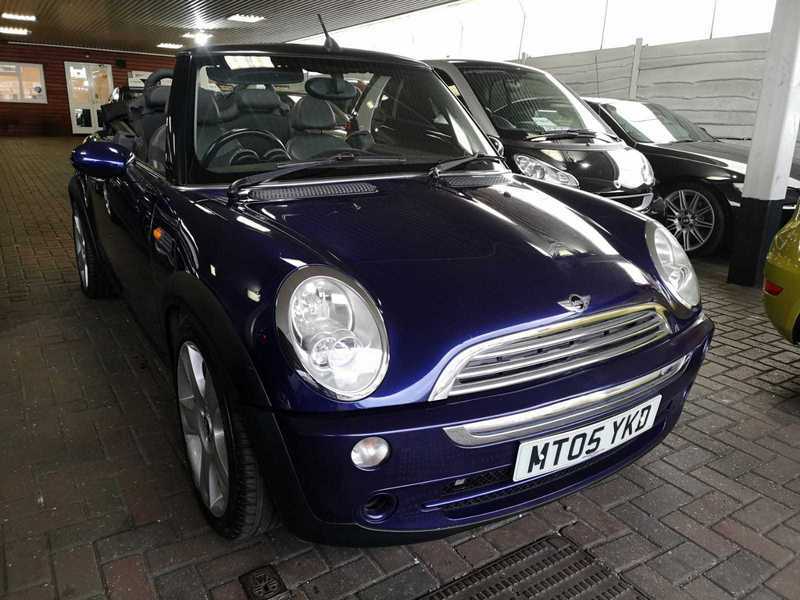 Happy to present this MINI Convertible COOPER in excellent condition and a well kept car. 1.6 2dr, Convertible, 2 former keepers, 2005 (05 reg), Convertible. 125,000 miles, Manual, Petrol. Upgrades - Cloth/Leather Combination Upholstery, Metallic Paint, Soft Top in Dark Blue or Dark Green, Trip Computer, Standard Features - ISOFix Anchor Point, Speakers, Cup Holders, Body Coloured Bumpers, Safety Belts Rear, Safety Belts, Radio, Parking Sensors, Engine Immobiliser, Electric Mirrors, Catalytic Converter, Cassette Player, Adjustable Steering, Side Impact Airbags, Front Airbags, Power Assisted Steering, Electric Windows, Central Locking, Alloy Wheels, ABS. 4 seats, Purple.